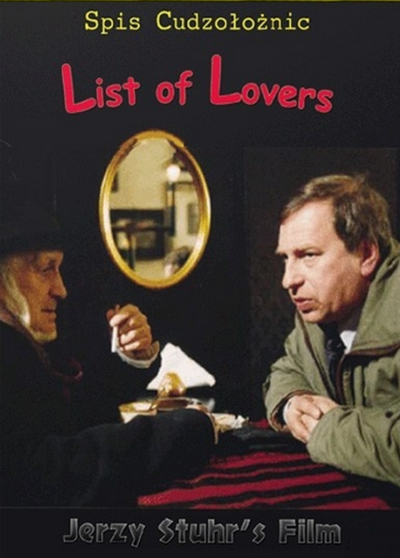 Based upon a novel by Jerzy Pilch, Jerzy Stuhr's List of Lovers follows a Krakow professor, Gustav (Stuhr), who must play the role of gracious host to a fellow professor from Sweden (Preben Osterfelt), who is more interested in finding a date than exploring local points of interest. The randy Swede soon tires of Gustav s dull dissertations on Polish heroes and suggests looking for female companionship, but the task proves beyond the skills of the shy academic. No particular expert in the art of dating, Gustav attempts to avoid disappointing his Swedish counterpart by opening up his old address book of past lovers and begins calling. Each call brings back a multitude of emotions and lovers who have changed dramatic, often for the worse except, perhaps, for the lovely Iza (Stanislawa Celinska).